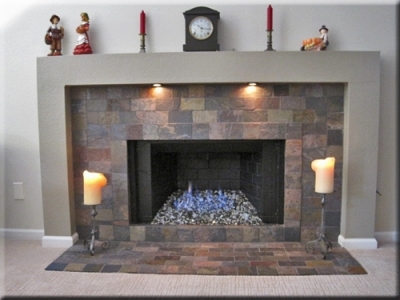 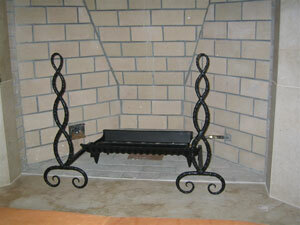 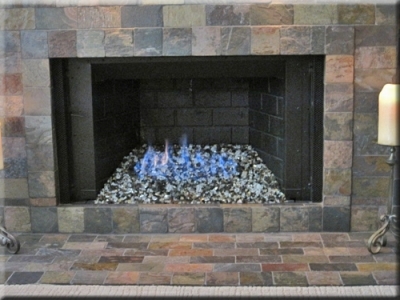 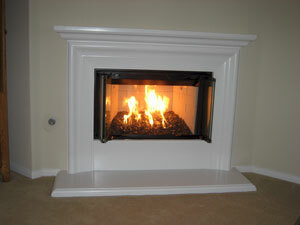 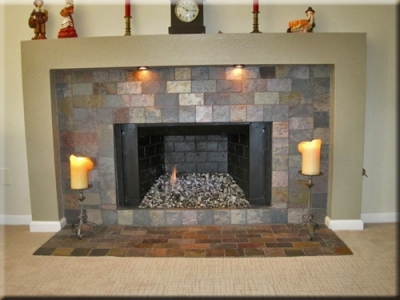 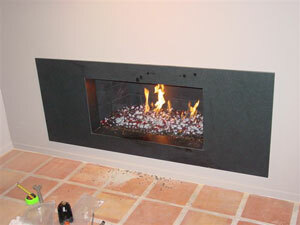 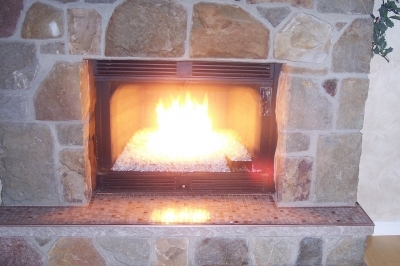 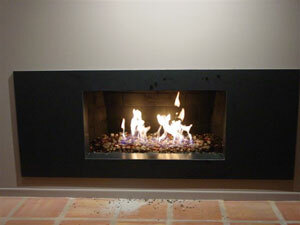 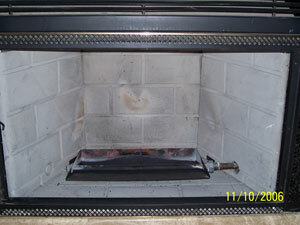 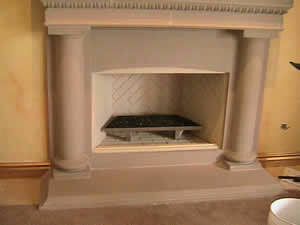 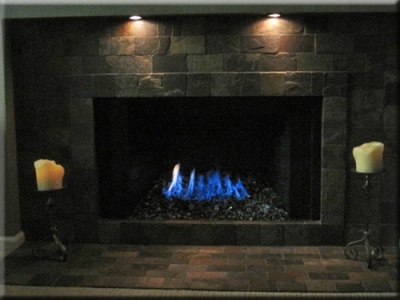 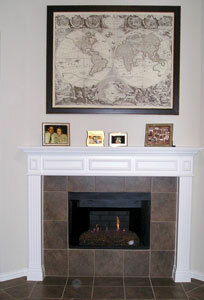 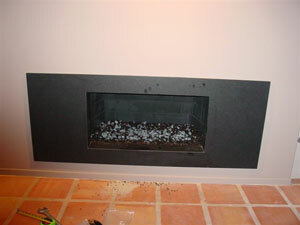 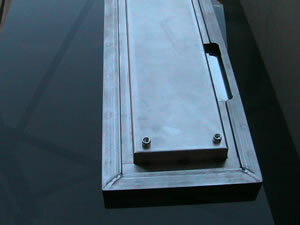 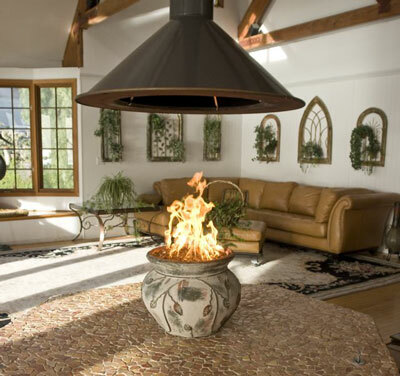 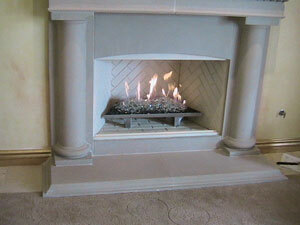 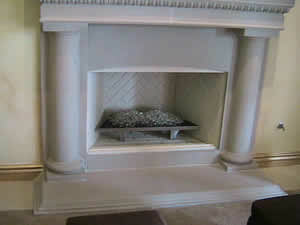 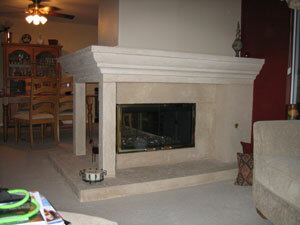 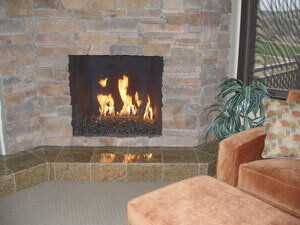 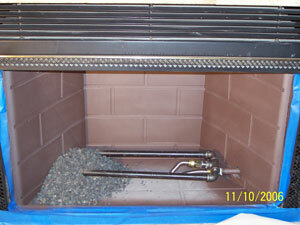 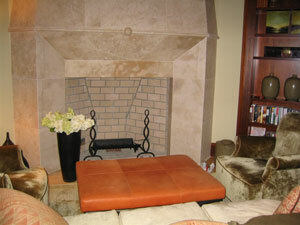 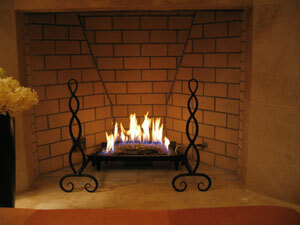 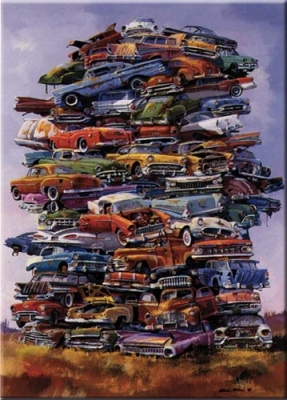 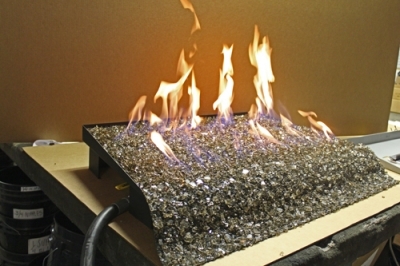 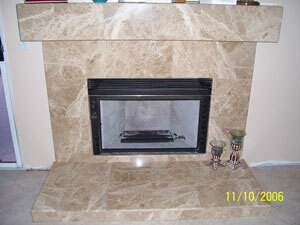 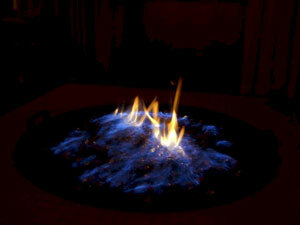 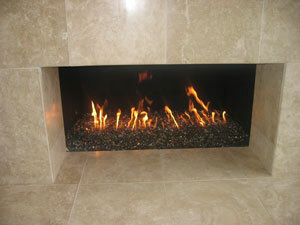 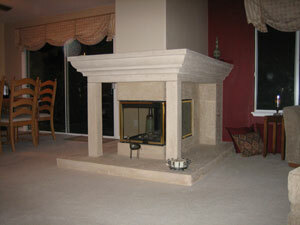 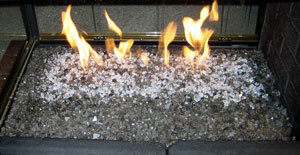 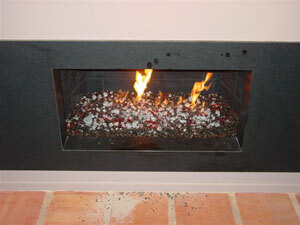 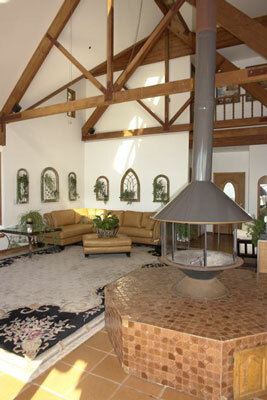 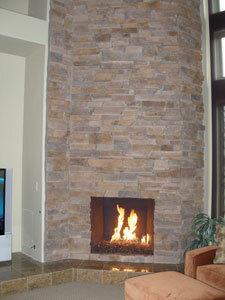 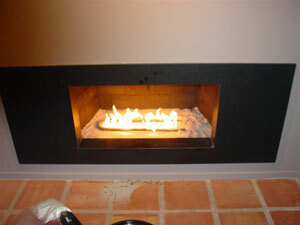 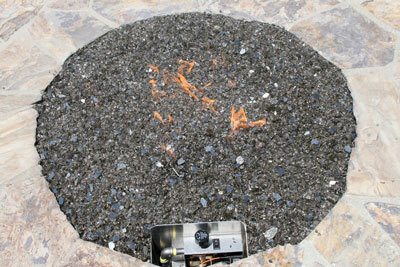 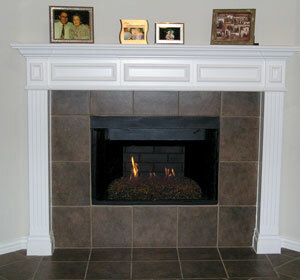 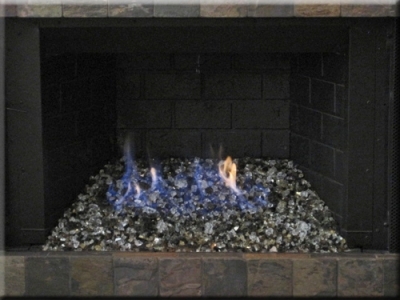 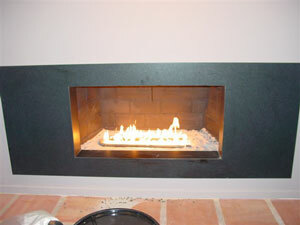 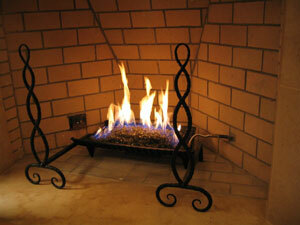 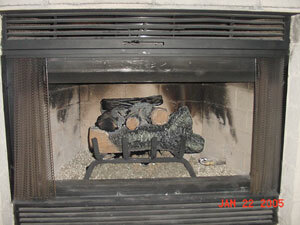 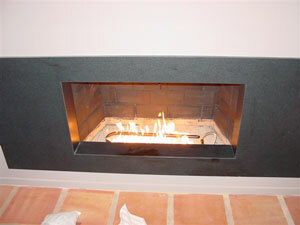 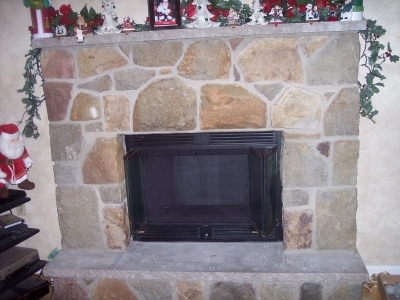 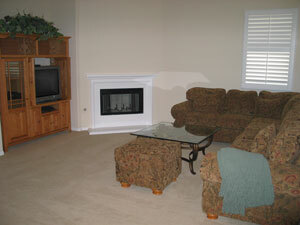 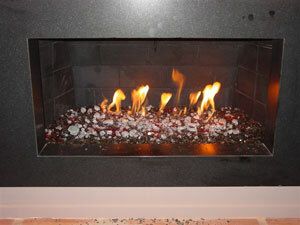 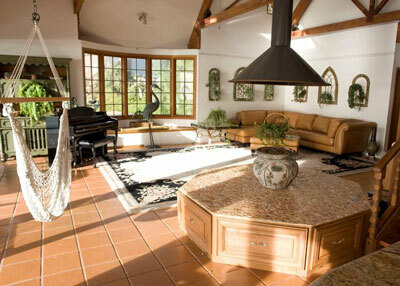 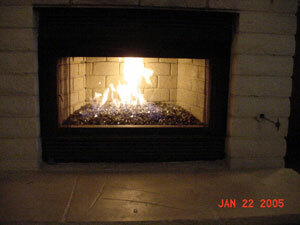 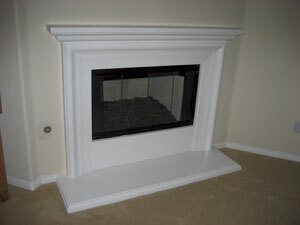 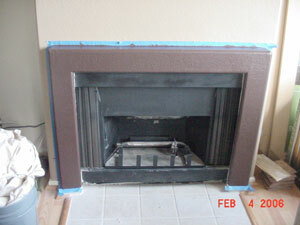 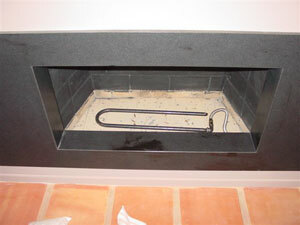 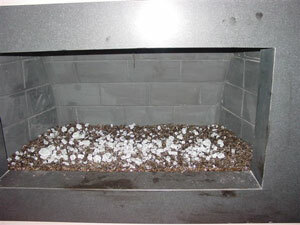 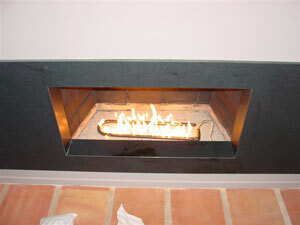 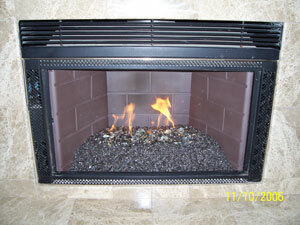 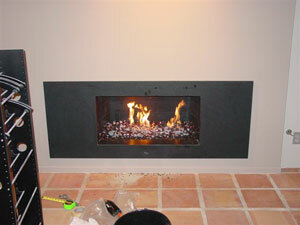 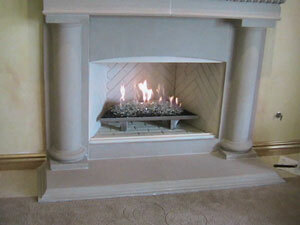 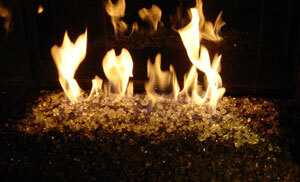 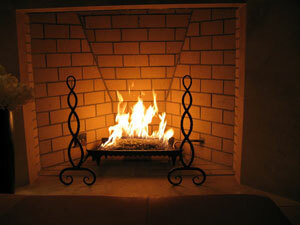 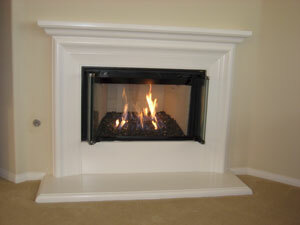 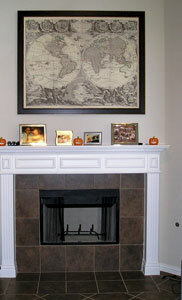 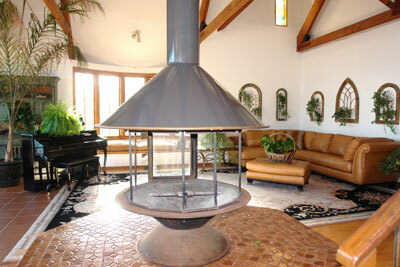 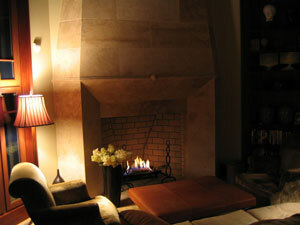 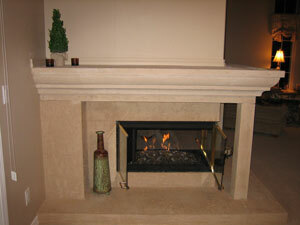 The next fireplace installation was by Vito Sanfilippo. 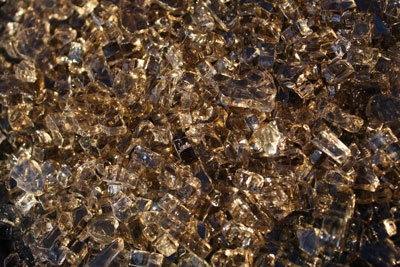 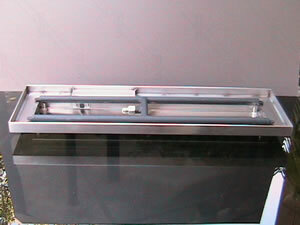 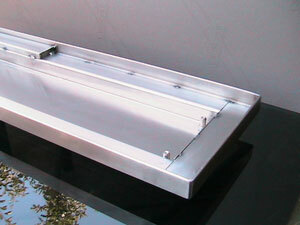 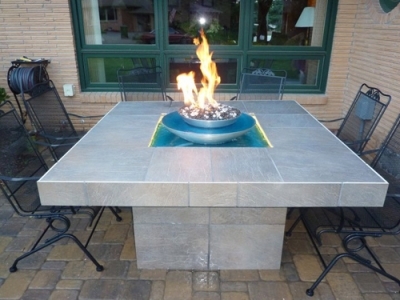 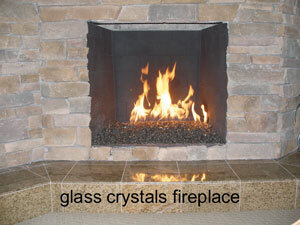 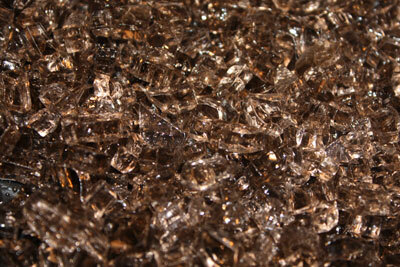 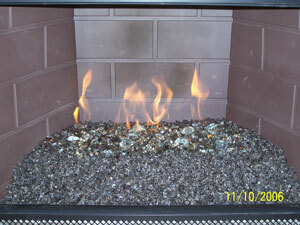 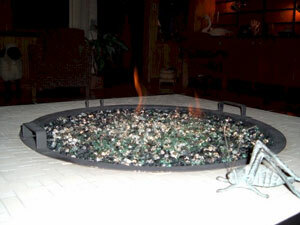 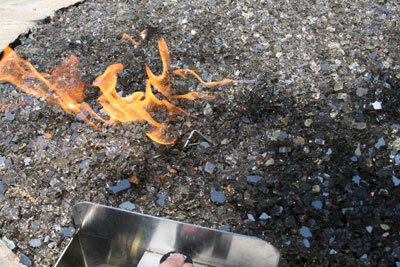 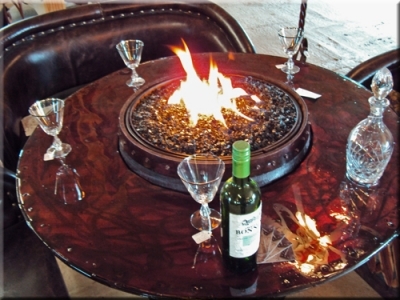 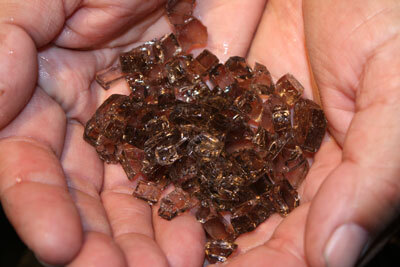 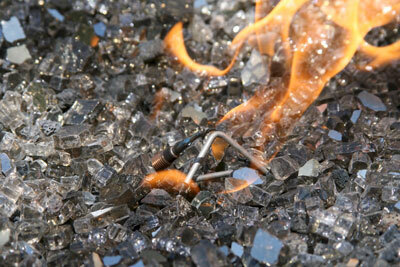 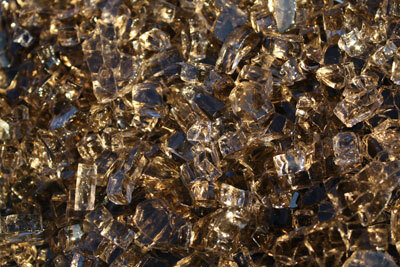 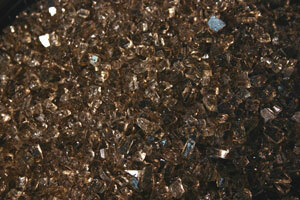 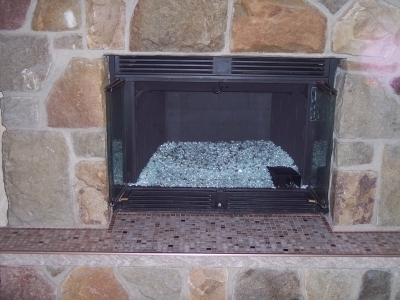 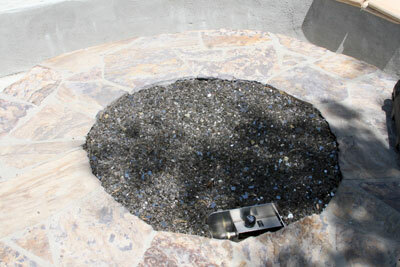 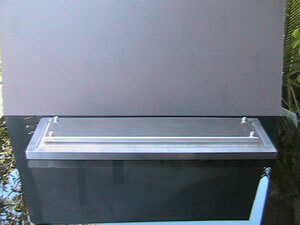 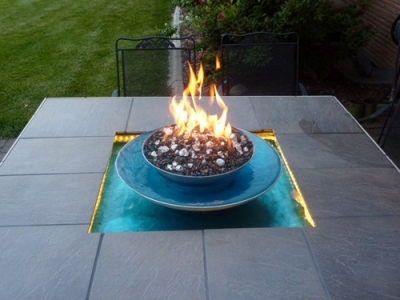 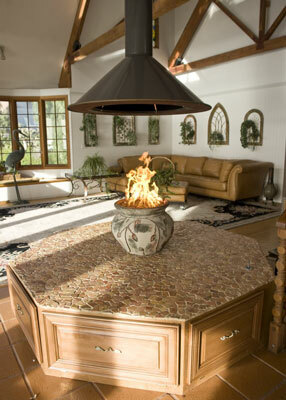 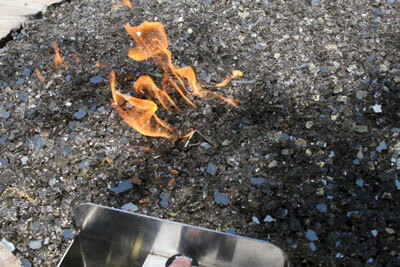 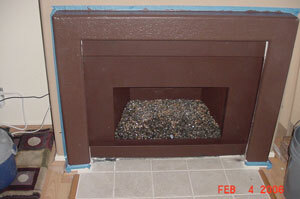 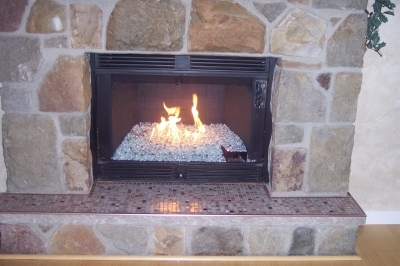 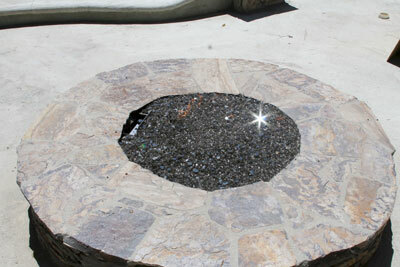 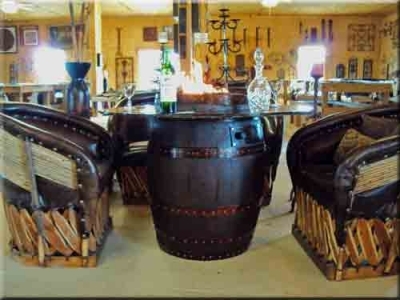 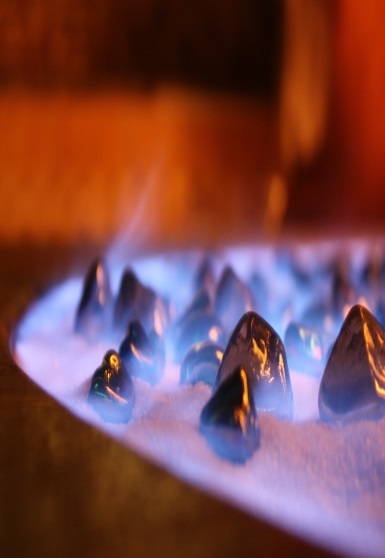 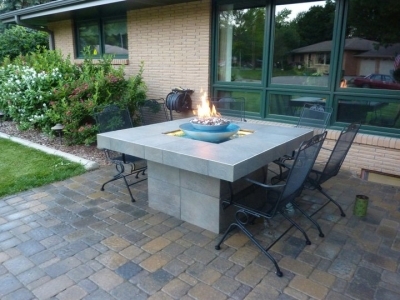 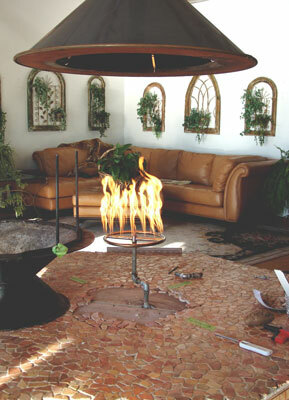 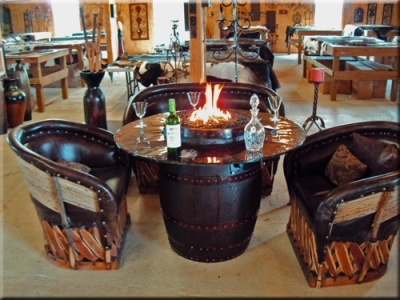 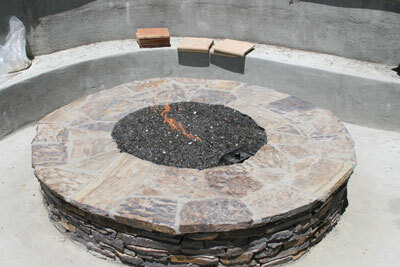 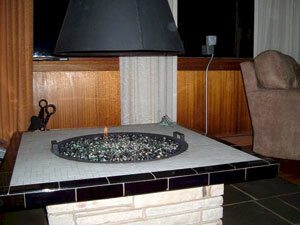 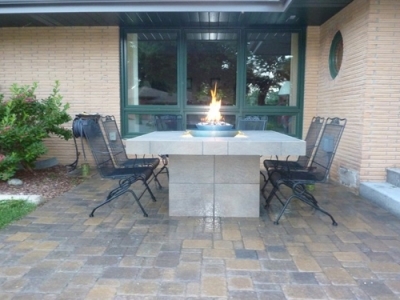 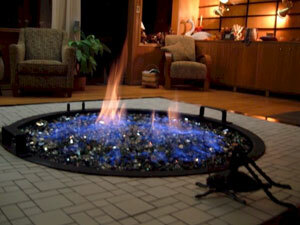 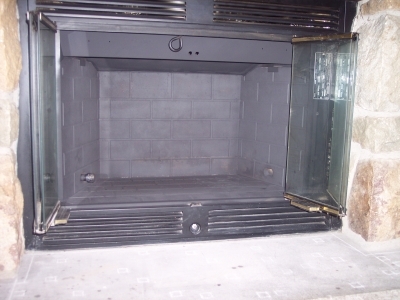 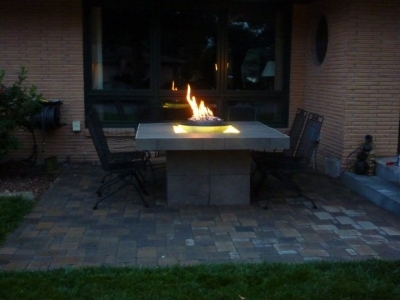 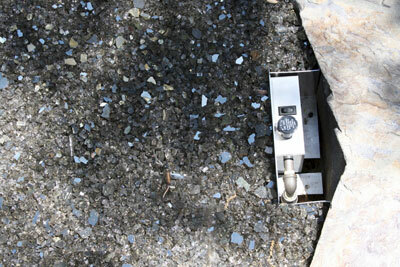 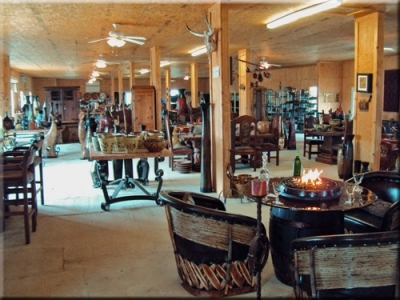 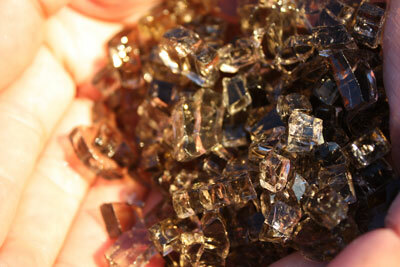 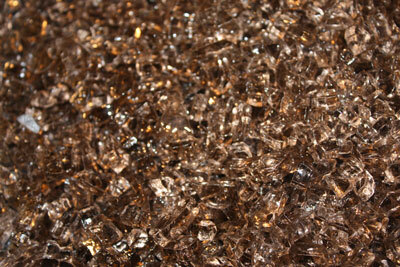 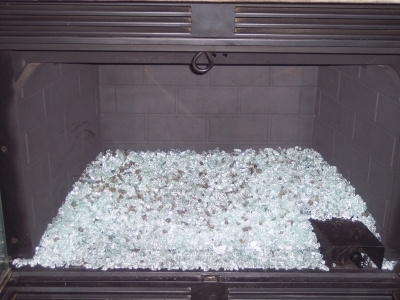 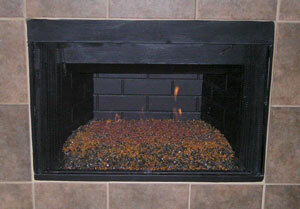 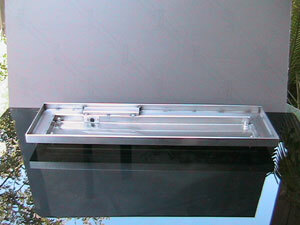 He installed a propane pan and topped it with:Clear Base Glass,and added Bronze Base Glass to accent the top. 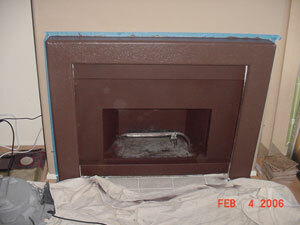 Apply some high heat paint.